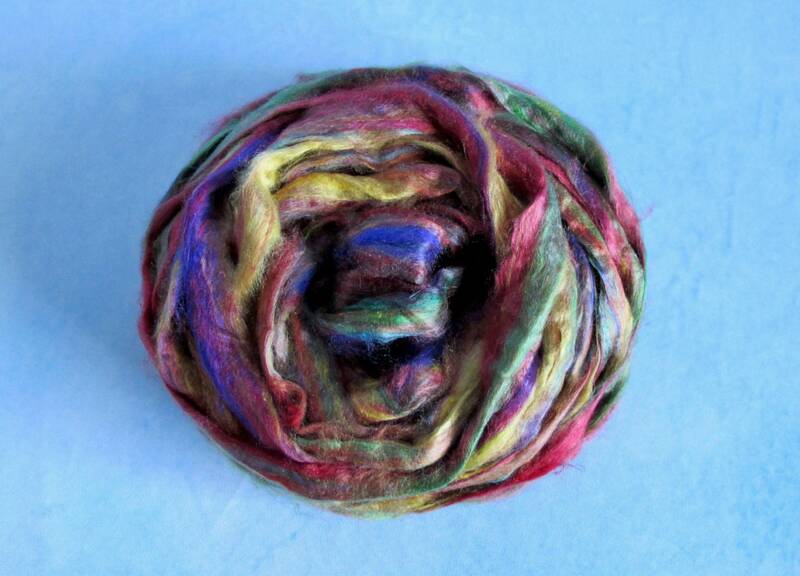 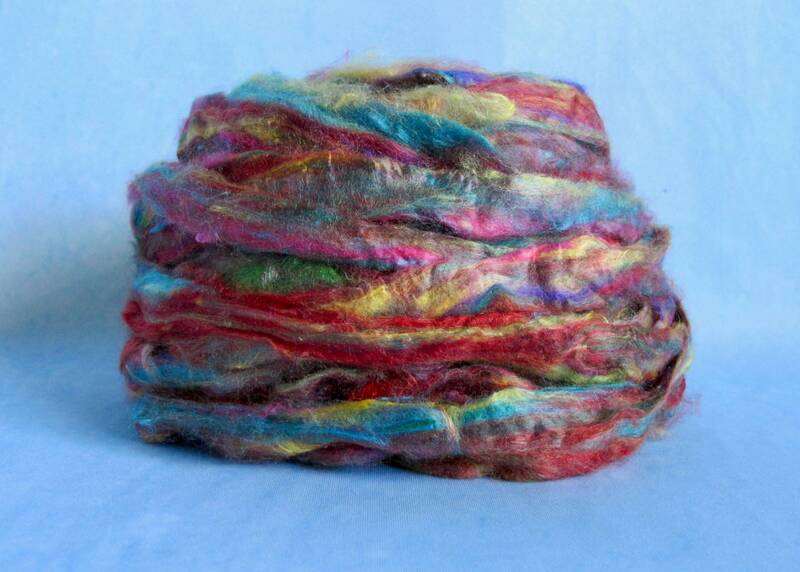 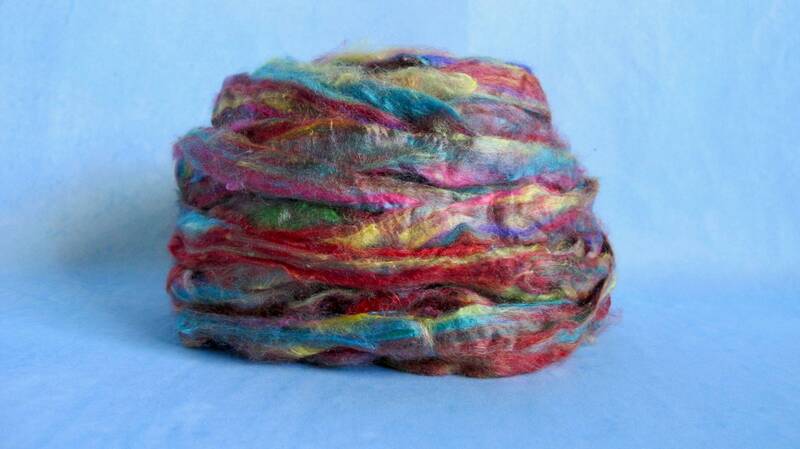 This listing is for 2oz of 100% Recycled Sari Silk Sliver Top. 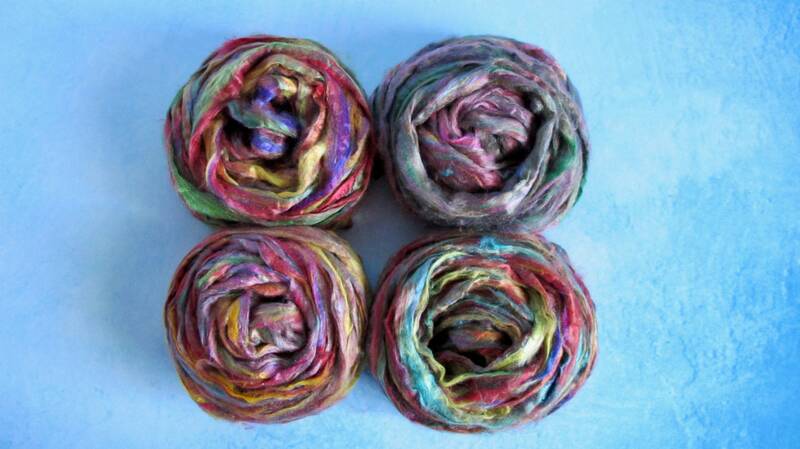 This top is multicolored and the colors can vary. 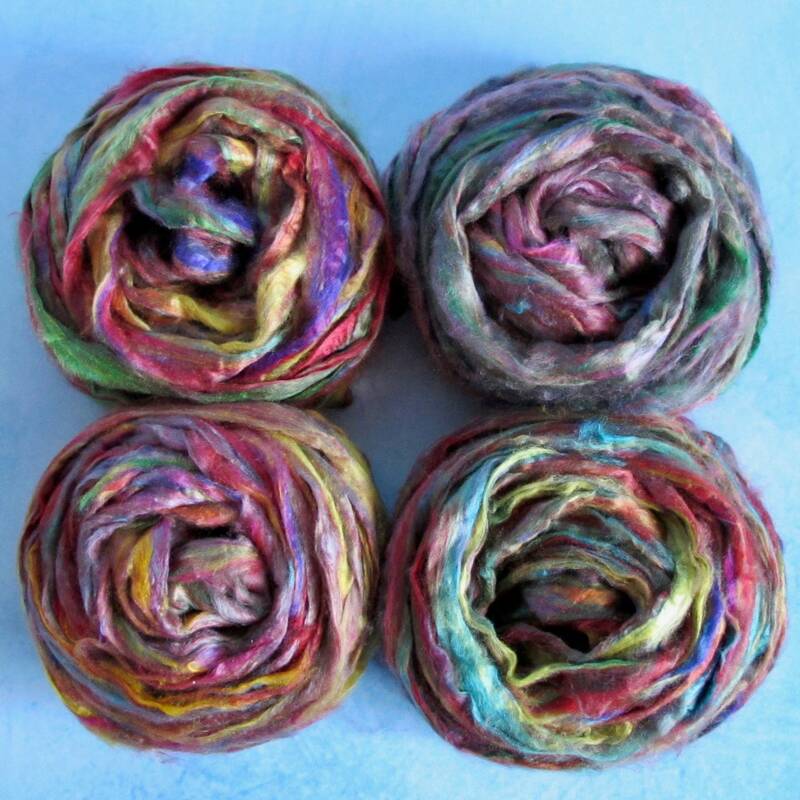 I have four 2oz bundles pictured above and if you see a colorway you prefer, please mention it in the message box at checkout or send me a convo and I will do my best to match those colors. 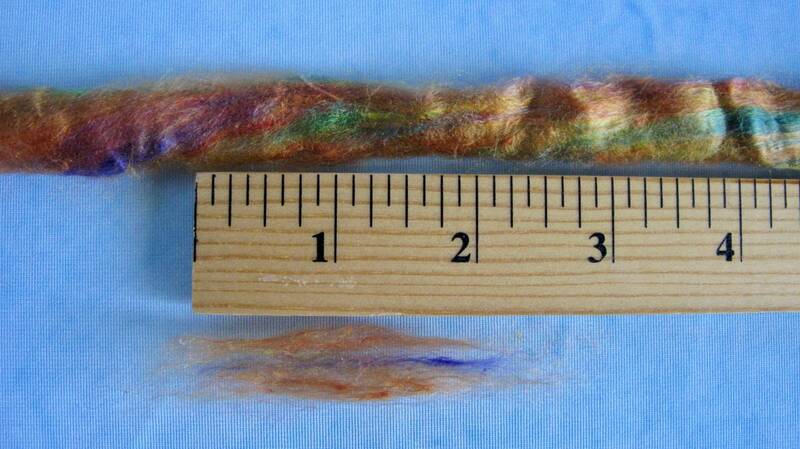 This is 100% recycled silk with a staple length of 1.5 to 2 inches.